Brown ground beef in skillet over medium-high heat. Drain meat, then stir in taco seasoning and water according to package; cook for 5 to 8 minutes to reduce liquid. 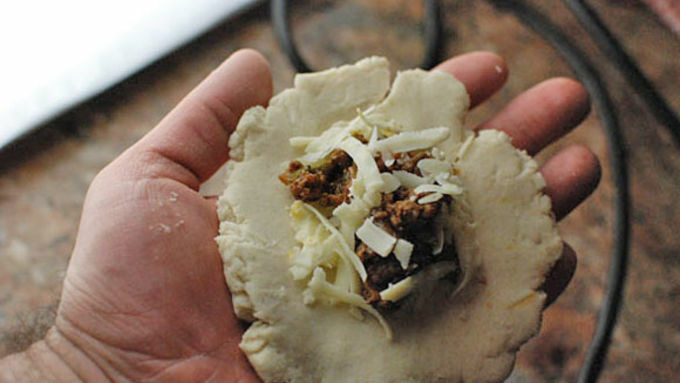 Flatten some dough in your hand, then add a spoonful of your taco meat, then wrap the dough around the meat forming a ball. 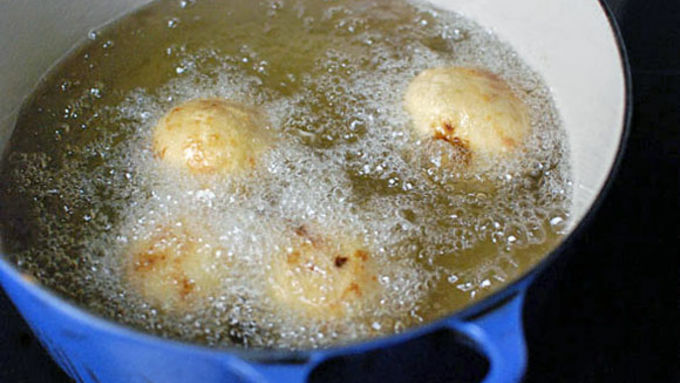 Steam your tamale balls for about two hours. 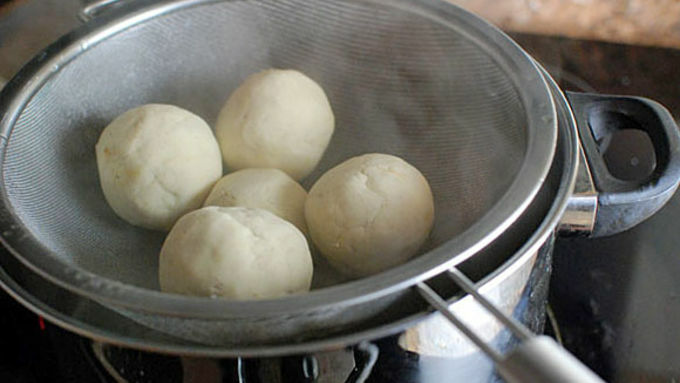 Remove the balls from the steamer, dust with flour, and fry for a few minutes until browned on all sides. Tamales are one of my favorite things in the world. They’re a simple, gluten-free bread that is as easy to make as tossing together a few ingredients and steaming for a few hours. Once you get the basics down, the possibilities are endless! Fill it with anything from ground beef, stewed meats, or fresh veggies. Augment the dough with fresh corn, sweet potatoes, or even squash. Today I decided to try a handheld snack version of the popular Mexican treat. 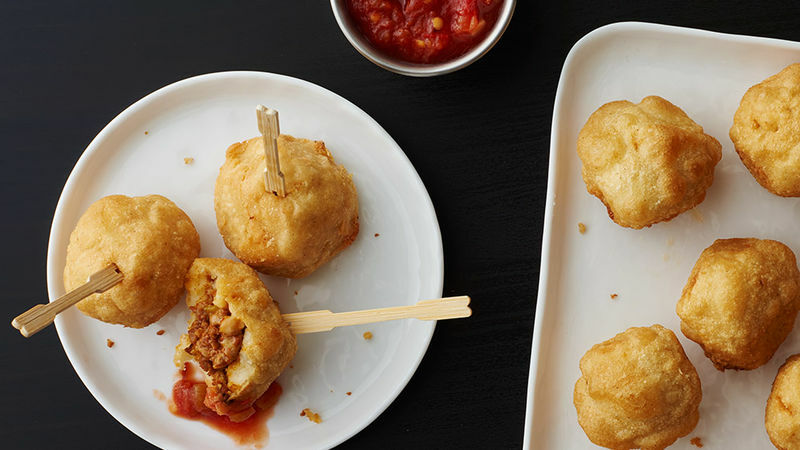 Normally these are steamed and served in a corn husk, but mine are on a stick! 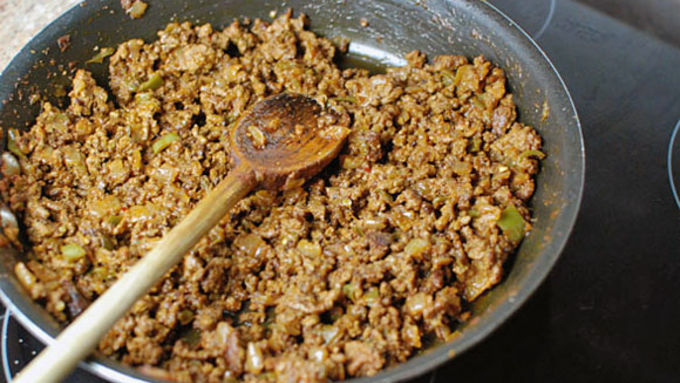 You can make your favorite taco meat. Feel free to use a taco seasoning packet, or your favorite blend of spices with peppers and onions. Don’t let not having a steamer stop you from making these! I just used a mesh strainer over a large pot of boiling water. Serve with salsa! These things are awesome. 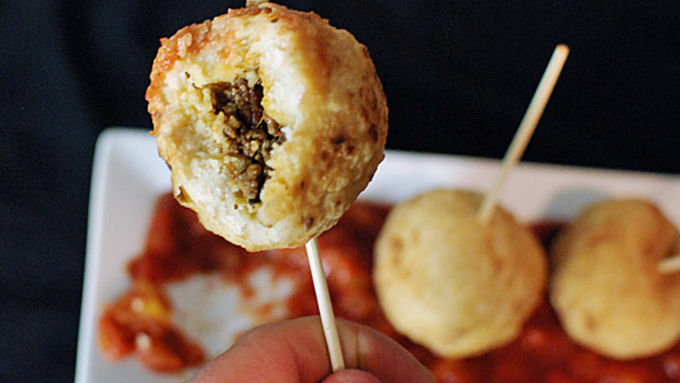 Slightly crunchy on the outside, soft and tender on the inside, and filled with savory meat!